This post’s title is keyword research for bloggers, but it really is for anything. This is the same research I do when I am looking for keywords for my videos. We will go through how to do basic keyword research with some free tools. Firstly, though, I want to make it clear that it is more important that you actually write blog posts than worry about getting keyword research right. Get those blog posts up! 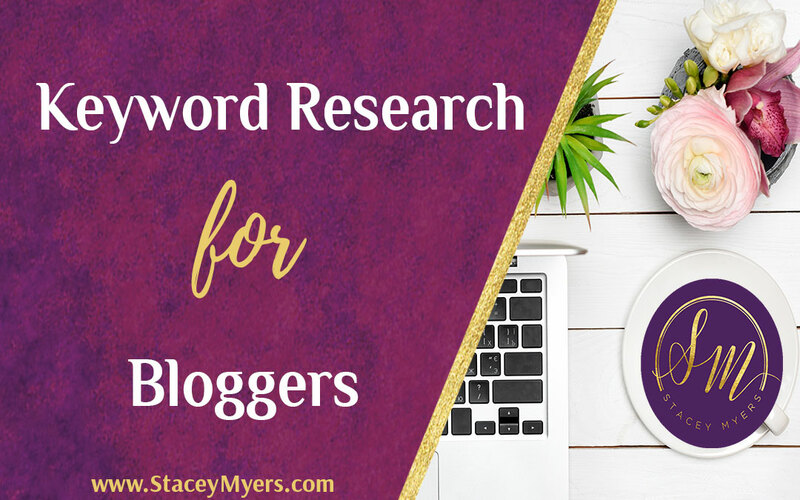 When I first started blogging, doing keyword research freaked me out a little. I thought there was some trick to it that I just didn’t know about. But in reality, it is actually quite easy to do. Simply by writing a blog post on a certain topic you will automatically have keywords in the post. You can’t write about chocolate cake without mentioning chocolate cake. 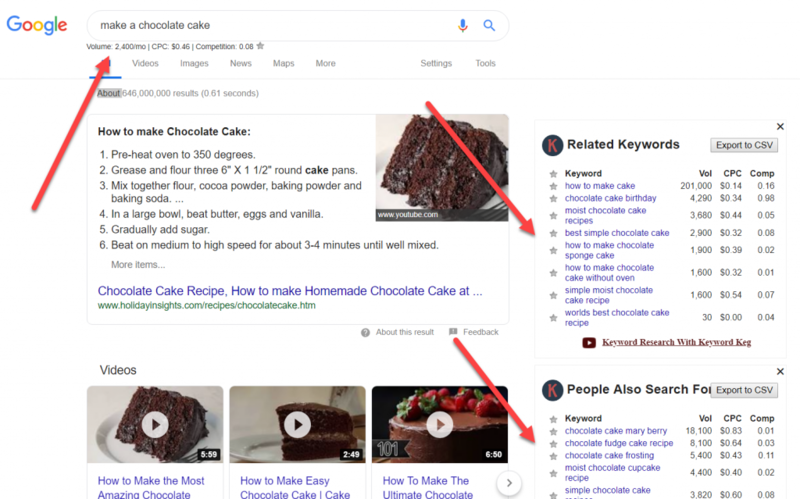 Keyword research simply helps you to hone that in a bit – maybe more people are looking for ‘easy chocolate cake’ than ‘egg free chocolate cake’. This is what you will find out with keyword research. It's definitely better if you can have a specific keyword that you want to focus on for your blog posts, but, like I said already – it is much better for you to actually get a blog post out there. I've even put together a document that you can use to track your keywords – in relation to volume and competition. I have a slightly different opinion about views and search than some other people do, but I'll explain that more as we go along. Before you start with keyword research, you need to have an idea what you want your blog posts to be about. 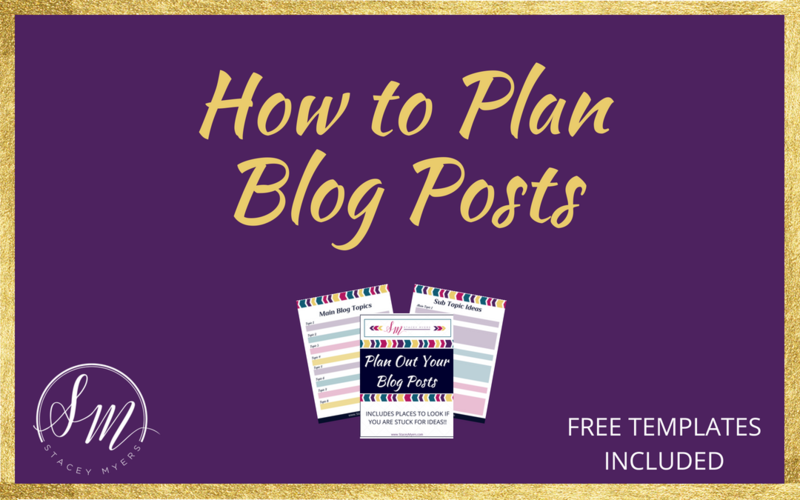 In ‘How to Plan Your Blog Topics’ I take you through planning out your blog post topics. Then once you've decided on a blog post, then you'll be able to come and do your keyword research. Now what will happen is, every time you search for anything in Google, you will see extra keywords that relate to whatever it was that you searched for. Under the search bar you will see the volume per month and the competition. Then down the right hand side it gives you some related keywords as well. This is a really easy way to come up with some other blog post ideas as well. I recommend watching the video as well, as I take you right through finding a keyword, using Keywords Everywhere and two other free tools. You might even be surprised to realise that keyword research can actually get a bit addictive – set a timer. This will give you an idea about how to start with keyword research for blogging. 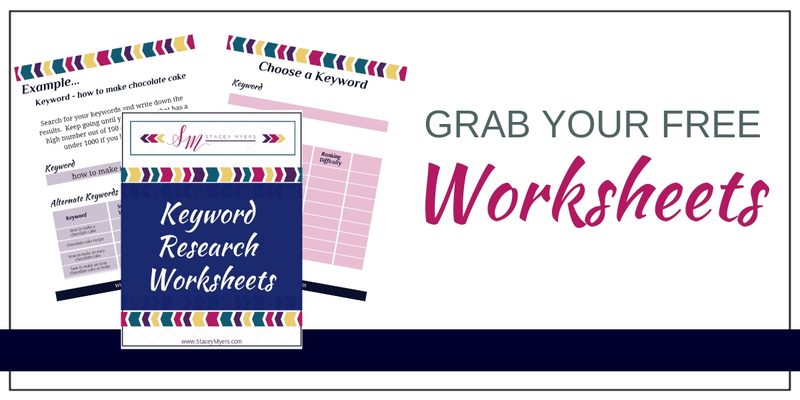 I'm definitely not an expert on keyword research, but this will get you well on the way. What tools are you using to do your keyword research? Would love to hear about them below. ONE: Decide on the overarching content theme of your blog. I’m sure you already have a good idea of what you want to blog about. The main idea of your blog is, of course, going to be whatever your area of expertise it. Are you a doctor, nutritionist, coach…? My main theme is ‘helping people to take their expertise and turn it into a business’. I have created a few sheets you can use to help you write this out. TWO: Know who you are creating content for. If you are a nutritionist, who do you want to help? People with diabetes, mums that have just had a baby, people in business who need to move more often? It is easy to think that we can help everyone but we need focus on a slightly smaller community, than everyone. If you aren’t really sure about who you want to work with (who your ideal client is), I have a video that will help. My ideal client is – women who have a job, that are looking to build a business using their knowledge and expertise. It is either what they have been doing in their jobs or what they have been studying for. THREE: Work out the main topics for your blog posts. Now you want to decide the main topics you are going to talk about. If you have a product idea you can work backwards, like I have and will show you how to do shortly. Before I knew what my main product was going to be I just used the main content ideas that I wanted to talk about. Take a bit of time to write down what your main topics are going to be. Let’s have a look at how I worked out the main topics for my blog posts. I have a program called ‘From Idea to Open for Business’ where I take you through the 7 steps of creating a business online, serving people with your knowledge and expertise. The areas covered in the 7 steps are the main topic ideas I use. The 7 steps are Gaining Clarity, Branding, Website, List Building, Content Creation, Packaging Your Knowledge and Marketing. I also talk about mindset and having a full time job while running a business. I don’t talk about all the topics in an equal amount. But that is what forms the basis for all of my content. Take a bit of time to write our your main topic ideas. FOUR: Decide on your sub topics. Once we have the main ideas then we want to go a little deeper. Let's have a look at the marketing topic from my list. Marketing is the main topic. 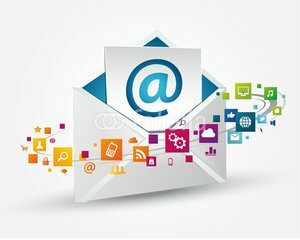 Email Marketing is then a subtopic. Then I start to consider what, inside of email marketing, I might want to talk about. I use ActiveCampaign as my autoresponder service provider, so I might create some content around using ActiveCampaign. Why I use it, how to use it. I could do some ‘how to’ videos about that. As you can see, I've taken the main ideas and then broken them down again. 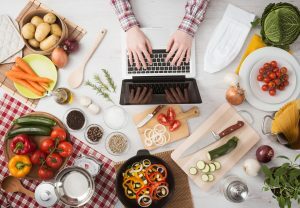 Gluten Free (main blog theme or it may be that, if you have a health blog, it could be one of your main topics, not the main blog theme itself). Now, if you're not sure, or you can't think of any content ideas inside of a topic, then maybe that topic isn't a main topic that you want to use for your website. It might be something that you talk about every now and then, but it mightn't be one of your main content ideas. Go back to the sheets and add in your sub-topics. There are multiple layers you can go down. Even inside one pot recipes, you could go deeper with vegetarian or family recipes. Stuck for ideas? Included in the template are a list of ideas you can use if you are stuck. Ever found yourself stuck for blog post ideas? It is something all bloggers experience at some point. 1. Share your Favourites: Share your favourite book, website, podcast or movie that would be relevant and valuable to your readers. 2. Social Media: Social media is a great place to find content ideas. Have a look at accounts of other people in your niche and see what is being talked about. You can also ask if anyone on your page has any questions they would like answered. 3. Share Worksheets and Checklists: Everyone loves a checklist. There is scientific evidence that you release some feel good hormones when you tick off something on a to-do list or checklist. 4. Teach Something: People always want to learn something new. What is something new and relevant that you could educate them about. 5. Interview Someone: Interview someone interesting in your niche. You could interview them on audio or host a written interview. You send the guest some questions by email – they respond – and then you post the questions and their reponses to your blog. Easy Peasy! 6. Share a Video: With literally millions of videos on YouTube, you would surely be about to find something of value to share with your readers. 7. 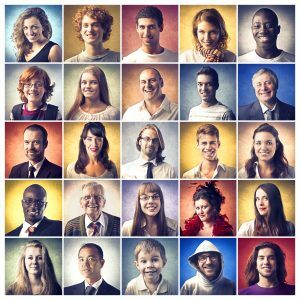 Invite a Guest Blogger: Invite someone to write a blog that is relevant for your niche. I would love to hear how you generate ideas. Leave your tips in the comments below. As many of you know we are taking the book ‘Build Your List with 30 Daily Doables‘ on a blog tour. Some of the blog hosts have kindly donated prizes to give away to people that have taken part in the tour. We are using Gleam as the system to run the contest. We are running it on the blog posts but you can also put it in an app on Facebook. Here you will see a run through of the app and how to set up a contest. Running contests or competitions is a great way to build your list and expose more people to what you have to offer. Make sure what you give away is relevant to what it is that you want to be known for. Don't give away a course on gardening when you teach people how to fish. It has to be congruent with your message. I usually give away prizes from my own business – coaching, products or programs. But for the blog tour I wanted to showcase some of the people that hosted us along the way. What type of contest can you see you could run in your business? I would love to hear about it in the comments below. We can all do with more eyes on our blogs. In show #17 I share information I found in a great blo g on Problogger that talks through strategies to make your blog appealing. The more appealing your blog the more people will want to share it. They are just 6 of the 30ish ideas in the post. What are you doing on your blog to engage more readers and encourage sharing? I would love to hear about it below. 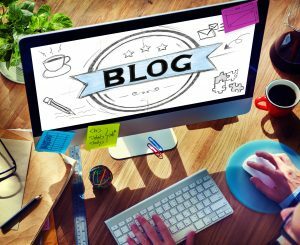 If you are looking for ways to make your blog better you want to start following Michelle Shaeffer. She has been teaching about blogging for many years. In show #13 I share a few of the great ideas in Michelle's latest article about finding inspiration and ideas for your blog posts. 5 books you need to read – as an avid reader I could think of 5 books straight away to tell people about. 1 thing I do every day – this also prompted me to think of sharing something that I learn every day. Stories about how you had overcome something. The best bumper stickers I have seen – I think this is a great one as it starts to train us to look for blog ideas in different and unusual places. The 5 websites I visit most often. I would love to hear other ways you generate ideas for your blog posts. Leave them in the comments below.